During his racing career Lancia was frequently very fast but would almost as frequently fail to finish through mechanical breakdowns or accidents. Few better examples of his dominance and failure exist than Lancia’s drive for the first seven laps of the 1905 Vanderbilt Cup Race. His tiremen were efficient and Lancia was ready to return to the course in about 16 minutes. 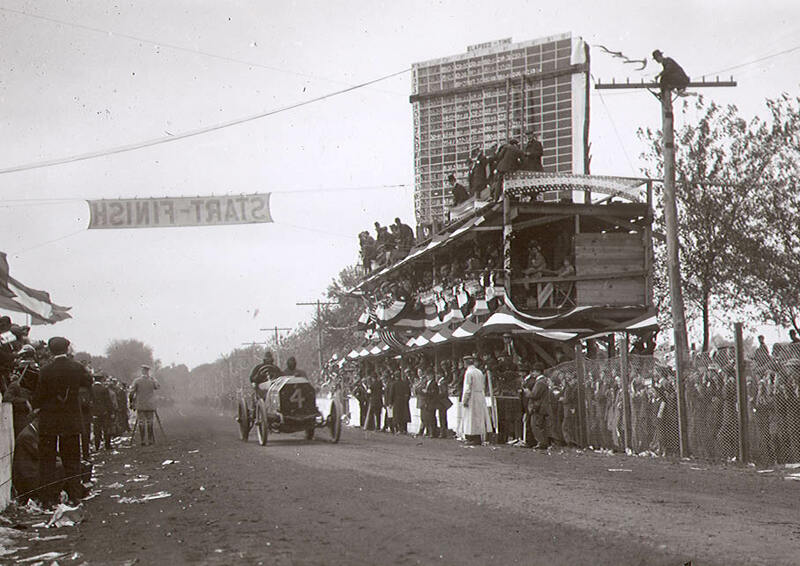 With Walter Christie fast approaching, flagmen shouted, “Car Coming!” and frantically waved their flags. Taking an impossible risk the impatient Italian pulled out into the path of the oncoming American racer. Christie swerved, but the road was not wide and his wheels partially slipped into a ditch in his evasive effort. The two cars hooked rear wheels, and the Christie swung 180 degrees around, throwing the driver and his mechanician, Nicholas Leightner, out of the machine. Christie was up and about immediately, but Leightner was taken by ambulance to Mineola Hospital. Their car was a mess, the rear wheels crushed. While Lancia continued on after his crew affected repairs, his race was lost. 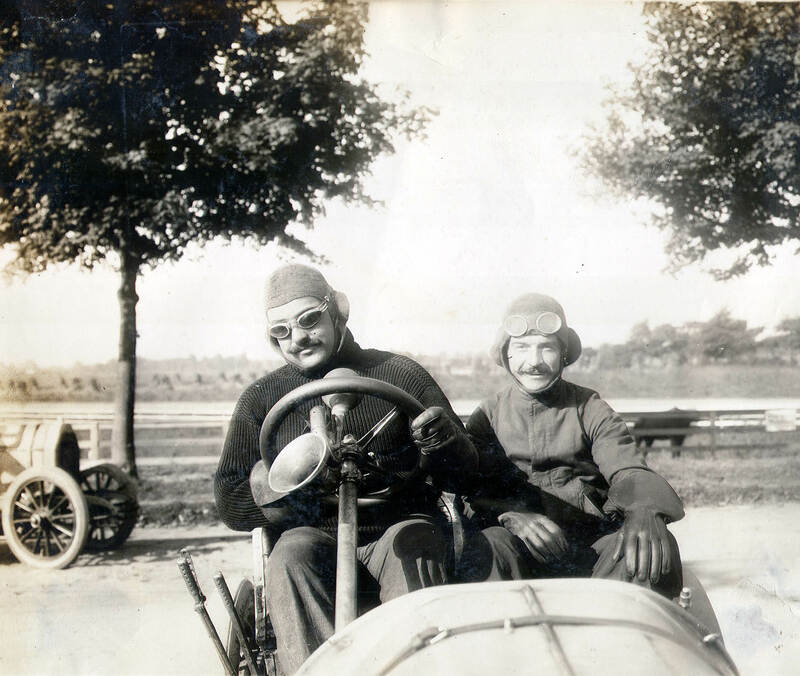 He finished fourth behind Victor Hemery, George Heath and Joe Tracy in the Locomobile. The crash was captured in this wonderful Peter Helck painting. Lancia returned with Fiat to again vie for the Vanderbilt Cup in 1906 but could not match Louis Wagner and his dominant Darracq. 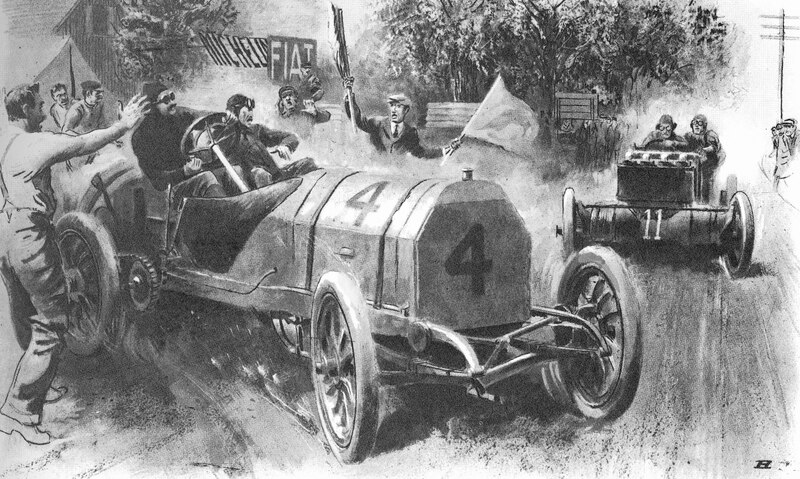 Wagner led from start to finish, with Lancia in second most of the way. Lancia finished a strong, but disappointing, second place and would never again drive for the Vanderbilt Cup. 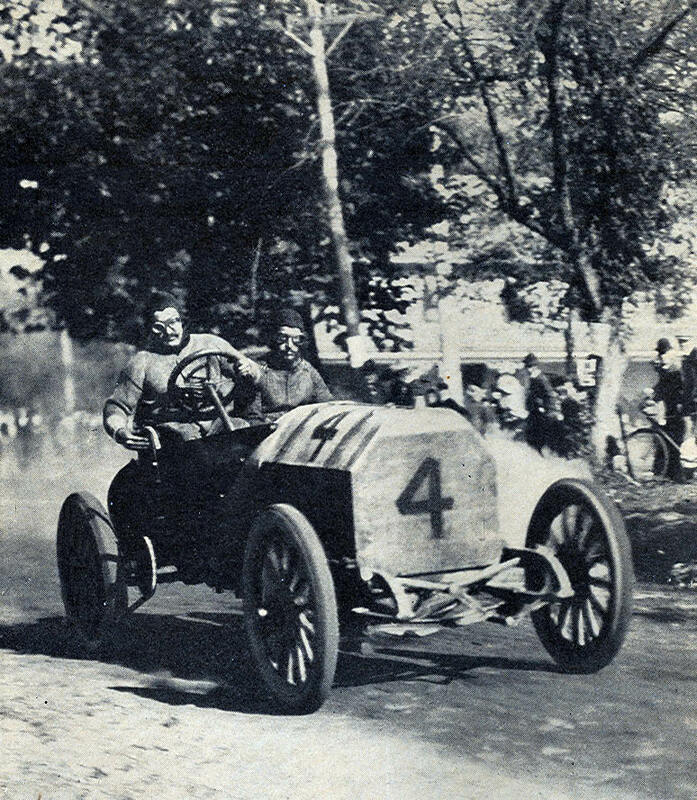 Lancia can be seen driving his #4 Fiat in this rare film of the 1906 race. The cameraman for the film was standing to the left of the car.